C Programming - Learn Coding is like a guide for C Programming Concept. 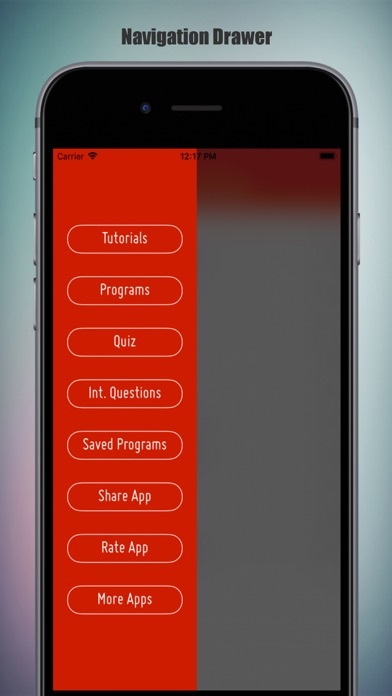 This app is for all the people who wants to learn C language very easily. 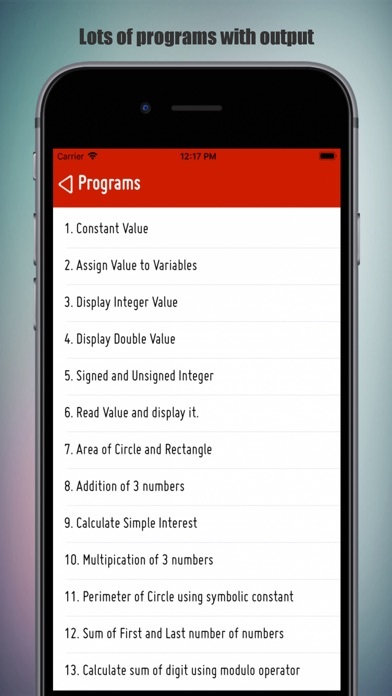 In this application there are some C Programs, C Tutorials, C Quiz, C Interview Questions & Answers and much more, that helps you to understand about various logic about C Programming (C Language). Some of the great features of C Programming - Learn Coding are : - It is fully Offline for studies. Best for beginners who want to learn C Programming Language. - It is absolutely free. 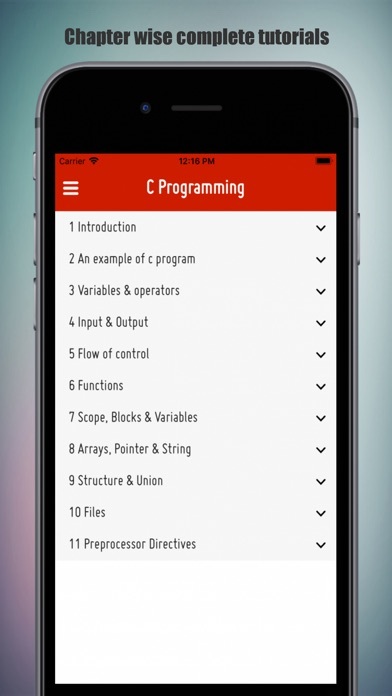 - Contains all basic concepts of 'C' programming language (C Language). - Included all basic theory of C. - Nearly 100+ C Programs with console outputs. - Easy to Understand each and every C Program. 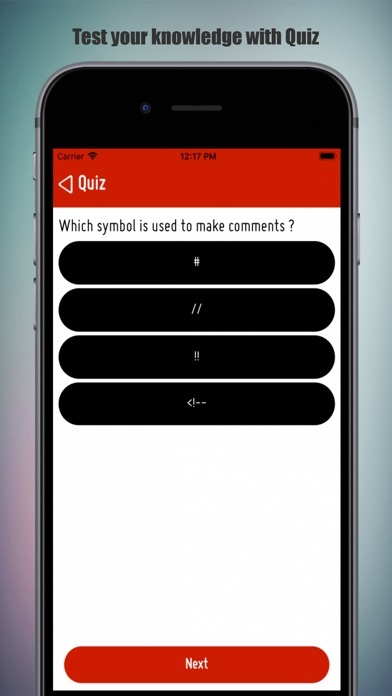 - 'C Quiz' included, you can test your skills and knowledge with by using C Quiz - Chapter wise 'C Tutorials' Available, That helps you to clear your basics towards C Programming Language (C Language). - Frequently Ask Questions (C FAQ), and Interview Questions & Answer helps you to prepare for your interview, and helps to give your best to get job. - User friendly Graphics UI (User Interface). - Easy to use. Easy to learn C Language. What you can get using this application. - C Programming - Learn Coding - C Introduction and Basics - C Programming - Learn Coding - Simple Guide to C - C Programming - Learn Coding - C Quick Reference - C Programming - Learn Coding - A Little C Primer - C Programming - Learn Coding - Explain Pointers In C - C Programming - Learn Coding - Network Functions In C - C Programming - Learn Coding - C Library Reference - C Network Programming Language - Simple Basic Programs In C - C Programming - Learn Coding - C Programming Language You can find this app for following use too C,Learn C,Learn C Programming,C Programming Language Guide,C Programming Language Guide,C Programming Language Tutorials,C Programming Language References, C Programming Language Wiki,C Programming Language Examples,C Programming Language Exercises,C Programming Language Pocket Guide,C Programming Language Guide,C Programming Language Wiki. #1 Application for C Programming. The app has great content but with EVERY new page of content you get an ad. I understand the developer needs to make something, but this is ridiculous. I did not make it past the first two sections before I removed the apps. One of the best app i have seen for the begineer level to learn C language. Recommand it to everyone. Best application seen over a time.